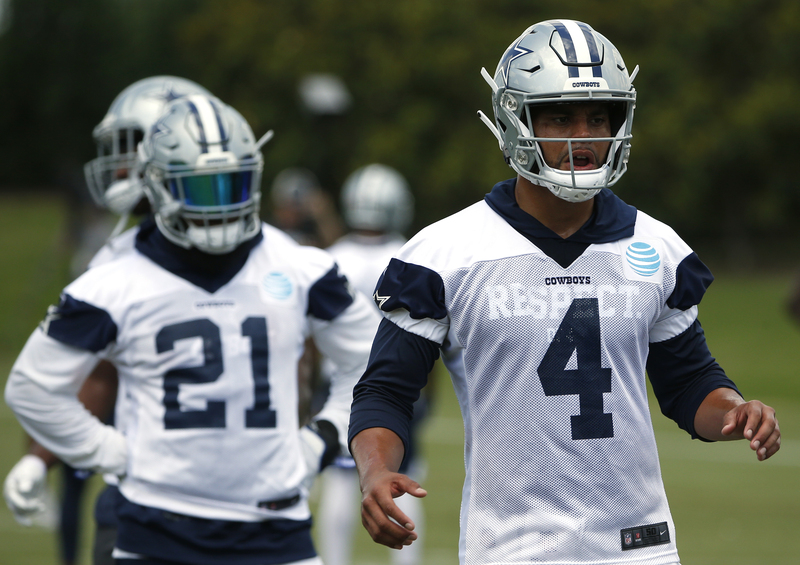 The Dallas Cowboys are probably the most popular public betting team there is, but it seems many bettors are realizing that these aren't your father's Cowboys. The Dallas Cowboys are probably the most popular public betting team there is, rivaled only by the Yankees, Notre Dame football and Duke men's basketball. But it seems the public is finally realizing that these aren't your father's Cowboys. Since 2011, Jason Garrett's first full season as head coach, the Cowboys have been favored in 63 percent of their games, but they are just 29-40-2 against the spread in those matchups. Right now, the Cowboys' 2018 spreads are nearly split down the middle. They are favored in all eight of their home games, save a pick 'em against the Eagles, and are underdogs in all but one of their road games (-3 Week 15 in Indianapolis). Their game in New York against the Giants is Week 17, and no games from the final week are on the board yet. Last season, the Cowboys were 7-4-1 as favorites and 1-3 as underdogs, but all four times they were a dog was during Ezekiel Elliott's six-game suspension. They lost both game and against the spread the first three games Zeke was out, before trouncing the Redskins and Giants and pushing against the Raiders as a three-point favorite. If the Cowboys are without Zeke at all this season, it'll be an even bigger hurdle because they chose to release Dez Bryant in April, leaving them with very few playmakers at receiver for third-year quarterback Dak Prescott. And thus, it'll be difficult to surpass the 8.5 wins Westgate has set for their total. __Coach:__ Jason Garrett, ninth season (67-53, 1-2 playoffs) __2017 record:__ 9-7, 5-1 NFC East __2017 ATS:__ 8-7-1 __2017 over record:__ 6-10 __Odds to win Super Bowl:__ 30/1 __Odds to win NFC East:__ 5/2 __2018 Season Win Total:__ 8.5 (over -120, under EVEN) *odds via Westgate SuperBook* __Key Additions:__ WR Allen Hurns, free agent; WR Deonte Thompson, free agent; WR Tavon Austin, trade; LB Leighton Vander Esch, draft; RT Cameron Fleming, free agent __Key Subtractions:__ WR Dez Bryant; TE Jason Witten; LB Anthony Hitchens; OG Jonathan Cooper; WR Brice Butler __Key Matchups:__ at Carolina, Sept. 9; at Seattle, Sept. 23; at Houston, Oct. 7; vs. Jacksonville, Oct. 14; at Philadelphia, Nov. 11; vs. New Orleans, Nov. 29 __Draft Impact:__ Vander Esch, the 19th pick out of Boise State is already penciled in as a starter at outside linebacker opposite Sean Lee, but other than that, Dallas' draft picks will likely sit a year. Second-round selection Connor Williams (Texas A&M) will be a backup to two strong offensive guards in La'el Collins and Zach Martin, and third-round pick Michael Gallup (Colorado State) is among a deep wideout corps. Fourth-rounders Dorance Armstrong Jr. (DE, Kansas) and Dalton Schultz (TE, Stanford) could push for playing time, but more so Schultz because of Dallas' lack of depth at the position with Witten's retirement. __Bet On It:__ The Cowboys play seven games against playoff teams from a season ago, including five in a six-week stretch after their Week 8 bye, but then they play at the Colts, home against Tampa Bay and at the Giants, so things get a bit easier late. Expect them to still be in the hunt for a playoff spot by that time.